There is a difference between charity and philanthropy. This article explores the difference – and how it has an impact on the project / program management approach taken. Charity begins with attitude or frame of mind…and continues with the act of giving time or money. It is laden with purposefulness – and is aimed at solving social problems. What must be carefully considered is the effectiveness of the particular charity – and the time horizon for solving the targeted problems. 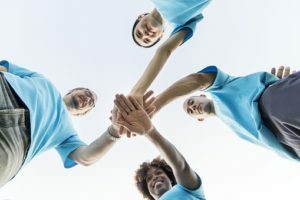 This is the third part of a series of four articles on “Philanthropy and Project Management", where we explore the intersection of these two fields and how strong project and program management is so critical to philanthropic initiatives. This article, Part 3 in the series, “Philanthropy and Project Management: Charity", focuses on the bigger picture of purposefulness but with a strictly tactical approach. Part 1, “Philanthropy and Project Management: Giving Money", looks at the management challenges related to giving money. Part 2, “Philanthropy and Project Management: Giving Time", looks at the management challenges related to giving time. Finally, Part 4, “Philanthropy and Project Management: Program Management", dives into purpose AND strategy in advanced philanthropic efforts. “Charity tends to be a short-term, emotional, immediate response, focused primarily on rescue and relief, whereas philanthropy is much more long-term, more strategic, focused on rebuilding. One of my colleagues says there is charity, which is good, and then there is problem-solving charity, which is called philanthropy, and I think that’s the distinction I have tried to make." So, charity is good, but when compared to the concept of philanthropy tends to be shorter term efforts in nature, and also tends to have shorter term, rather than longer lasting, benefits. It is less strategic…but there’s a lot of gray area between charity and philanthropy. Much work that starts out as charity can eventually become philanthropy. Charity provides a starting point – a point where there is pain and where charity can provide a remedy. This is a starting point for identifying the larger issues, and the longer term solutions. And that starting point ultimately is not only the act of the spirit of charity. How does this relate to project management? Charitable projects have a clear beginning and end and execute to deliver a result. That takes sound project management! Let’s look at a hypothetical charitable project – a local clothing drive for winter coats. a. Identify the need: who are the people in need, how many, where are they, and how can we connect with them? b. Identify the source: who has extra coats, how many, how can we connect with them, and how can we collect the coats? c. Distribution: one we know who needs the coats, have procured coats, how can we distribute to those who need them? d. Identifying milestones: working backward from when you need to have the coats distributed, what are the key things that need to be accomplished and when? e. Executing: what kind of a team is needed, how can you build the team, and how can you lead them to get the job done? It’s a team project effort to make the right connections, do the publicity, rally support, and collect and deliver the coats to those that need them. The success of such a charity will depend in large part on effective project management! What are the project management needs of a charity you know? This series of four articles looks at the many facets of how philanthropy intersects with project management.